The stars of the original”Sabrina the Teenage Witch” are wishing the best for the cast of Netflix’s “Chilling Adventures of Sabrina,” which comes out on the streaming platform tomorrow. 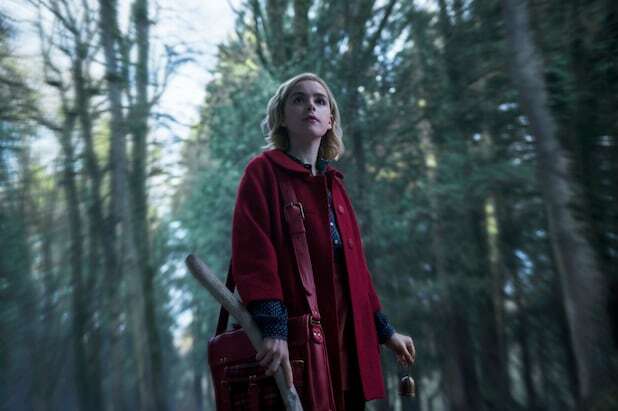 Melissa Joan Hart offered some advice to Kiernan Shipka, saying “from one Sabrina to the other, if you’re ever given a choice between a broom and a vacuum, choose the vacuum,” she said with a wink in a video shared on Netflix’s See What’s Next Twitter account. Caroline Rhea, who played Aunt Hilda, and Beth Broderick, who played Aunt Zelda, also send best witches to their new counterparts, Lucy Davis and Melissa Otto, respectively. Absent from the video, however, is Nick Bakay’s Salem. “From our coven to yours, best witches!” they all say at the end of the video. 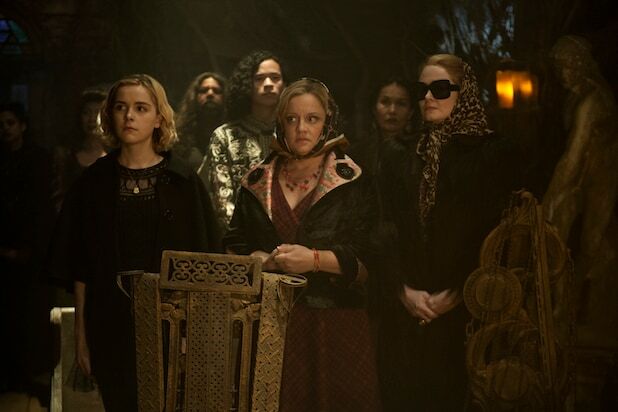 Watch the original “Sabrina” cast’s video below.